Got a secret! Can you keep it? 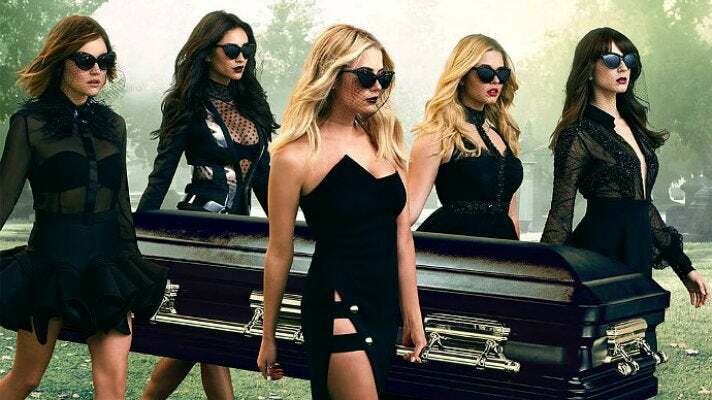 The hit television series Pretty Little Liars, which returns to the small screen on Tuesday, Jan. 12, 2016, is set in the fictional city of Rosewood, Pennsylvania. However, outside of the pilot (which was shot in Vancouver), filming takes place almost entirely at Warner Bros. Studio in Burbank. Big changes are in store for the Liars - the series is jumping ahead five years when the winter premiere of Season 6 airs on Jan. 12. Freeform, the rebranding of the ABC Family channel, will make its debut along with the Pretty Little Liars season premiere. Filming at Warner Bros. remains a staple, though. While interiors are mainly shot on WB soundstages, the show has utilized virtually every square inch of the 20-acre backlot for exterior scenes. The vast majority of the locales featured on the show can be viewed via the Warner Bros. Studio Tour Hollywood. Read on for a list of 36 not-to-miss spots. Just be sure to be on your best behavior when visiting the WB, because in Rosewood you never know who may be watching. Used repeatedly throughout the series, the house where Rosewood’s funniest Liar Hanna Marin (Ashley Benson) lives is a large Colonial-style estate located at the southern end of Warner Village. Only the exterior appears on the show. As is the case with all of the Liar’s residences, the inside of Hanna’s house is a set located inside a soundstage. The building’s actual interior serves as a production office. 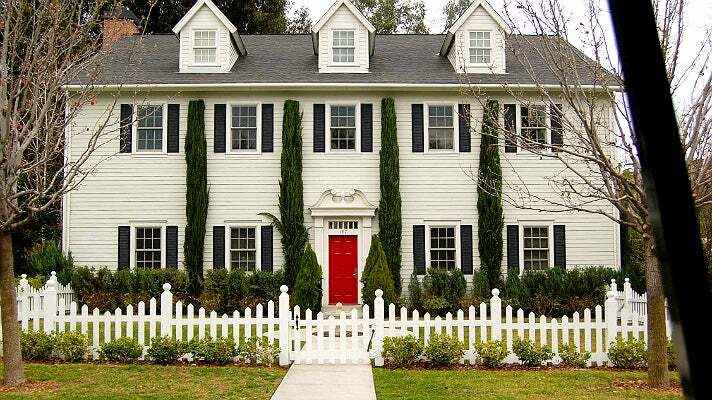 The home of the sweetest Liar Emily Fields (Shay Mitchell) is the northernmost house located in the Midwest Residential Street area of the lot. The same home was also used as Ross (David Schwimmer) and Monica Geller’s (Courteney Cox) parents’ house on Friends. It is a practical set, meaning that both the interior and exterior can be utilized for filming. While the inside was used on Friends (Season 2’s “The One with the Prom Video”), it does not appear on PLL. 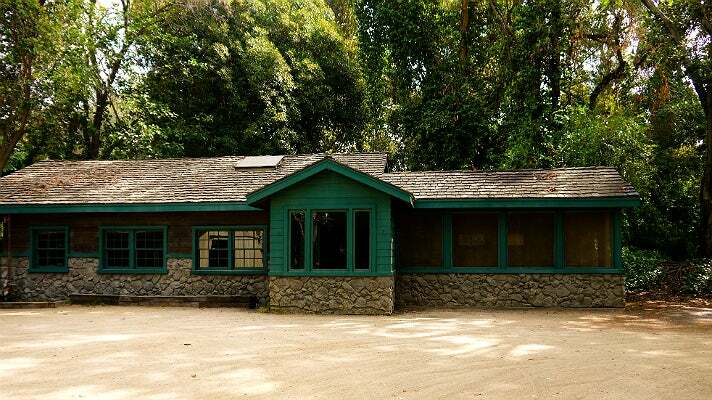 Like Hanna’s house, the interior of the Fields’ home is a set that exists inside a soundstage. The blue and white clapboard dwelling that troublemaker Mona Vanderwaal (Janel Parrish) calls home is located on Midwest Residential Street next door and to the south of the Fields’ House. It did not show up on the series until the Season 4 episode titled “Now You See Me, Now You Don’t,” but has been utilized regularly ever since. The façade that serves as the stately home where intellectual Liar Spencer Hastings (Troian Bellisario) lives is actually the rear side of Mona’s residence. 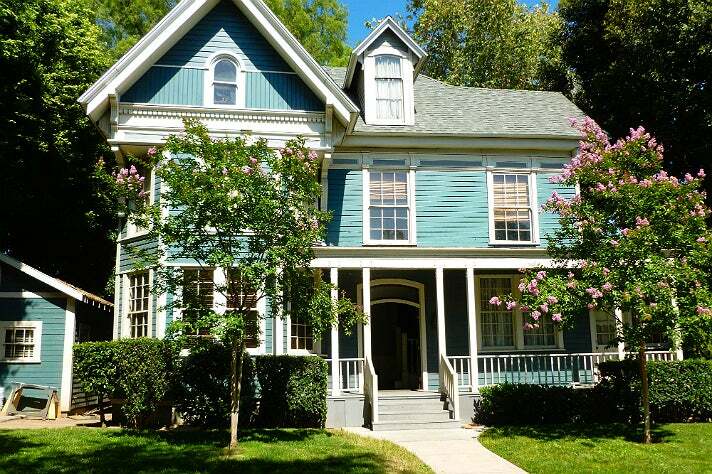 The dwelling should look familiar to Gilmore Girls fans – it was also used as Lorelai (Lauren Graham) and Rory Gilmore’s (Alexis Bledel) home on the WB series. 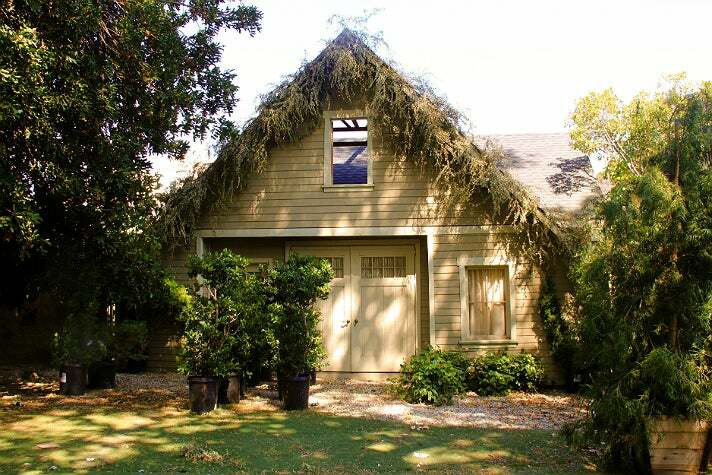 The backyard barn that Spencer painstakingly redecorated and that her sister, Melissa (Torrey DeVitto), then promptly moved into is located directly across from the Hastings’ residence, in what is actually the home’s front yard. 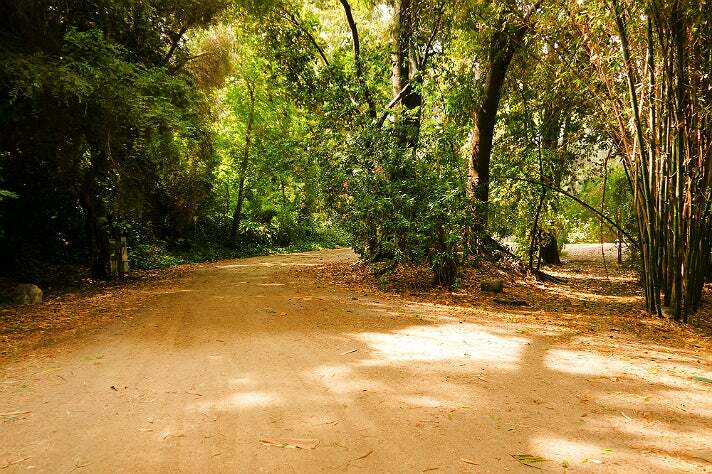 The house where step-siblings-with-benefits Toby Cavanaugh (Keegan Allen) and Jenna Marshall (Tammin Sursok) lived during the show’s early seasons was located on Midwest Residential Street, two doors south of Emily’s home. The structure was blown up, both on the show and in real life, in the Season 5 episode titled “Miss Me x 100.” The Warner Bros. 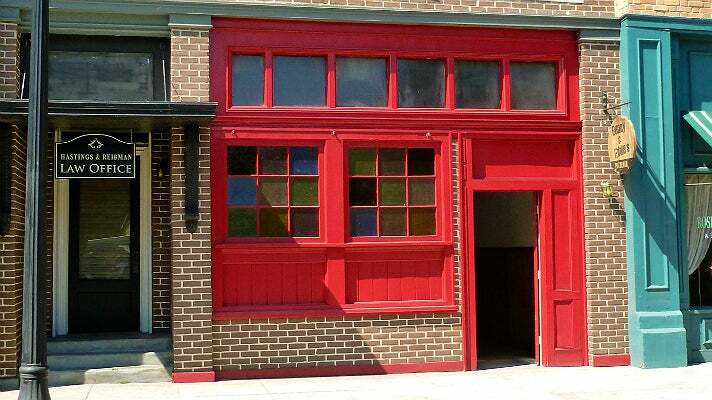 Studio Tour’s new interactive exhibit, Stage 48: Script to Screen, now stands in that location. 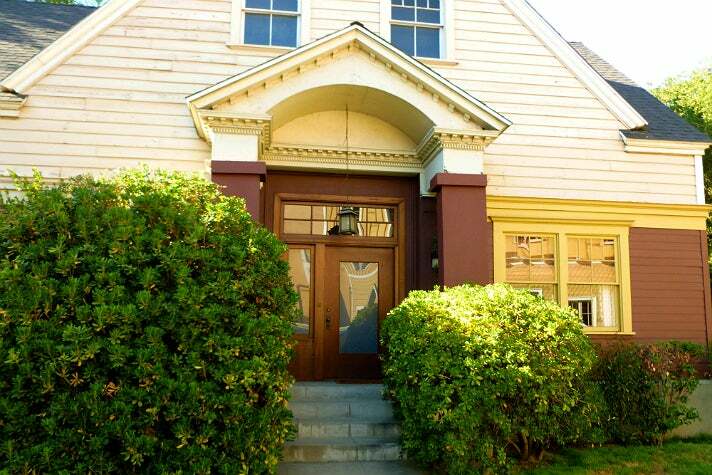 The Craftsman-style dwelling used in establishing shots as the residence of raven-haired beauty Aria Montgomery (Lucy Hale) is actually located in Vancouver. On occasion, though, the façade situated across the street from Mona’s home is utilized as the exterior of Aria’s pad. Such was the case in Season 6’s “Don’t Look Now,” when Spencer secretly visits the Montgomery residence in order to look through the trash for Aria’s discarded anti-anxiety medication. The Liar’s stately brick high school is located in the Midwest Business Street area of the backlot. The structure appears regularly on the series, but only the exterior is utilized. 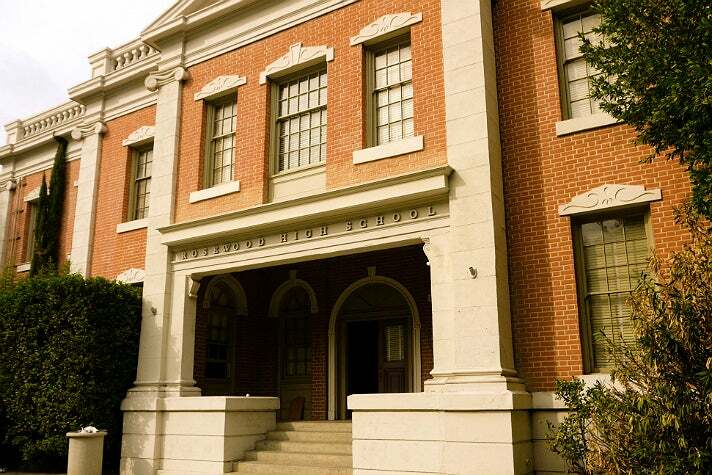 The hallways and classrooms of Rosewood High School are sets located inside a soundstage. The same structure was also utilized regularly as the Hazzard County Courthouse and Sheriff’s Office on The Dukes of Hazzard. 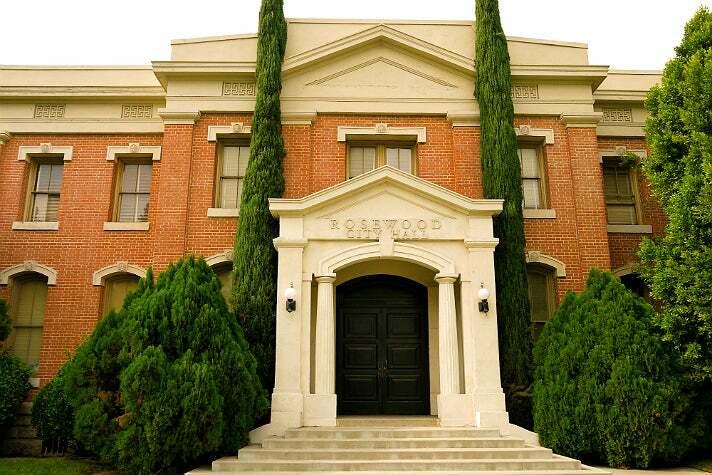 The Rosewood City Hall/Rosewood Police Department façade is located adjacent to and just north of the Rosewood High School façade. As with the high school, only the exterior of the structure is used onscreen. This facade also regularly portrayed the Hazzard County Building on The Dukes of Hazzard. 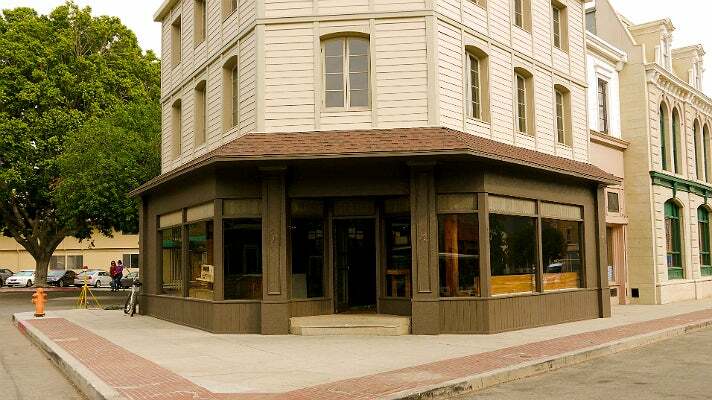 Apple Rose Grille, the local restaurant where the Liars regularly hung out during the early seasons of the show, is located on the rounded corner of Midwest Business Street and French Street. 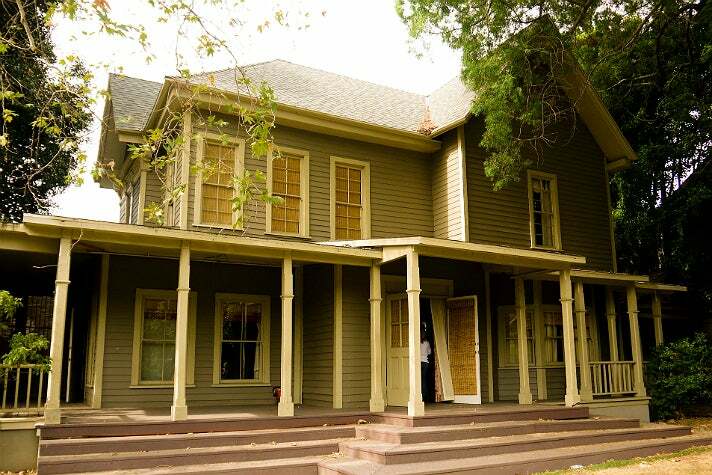 The structure is a practical set and both the interior and the exterior were featured regularly on Pretty Little Liars. The same spot also masked as Luke’s Diner on Gilmore Girls. 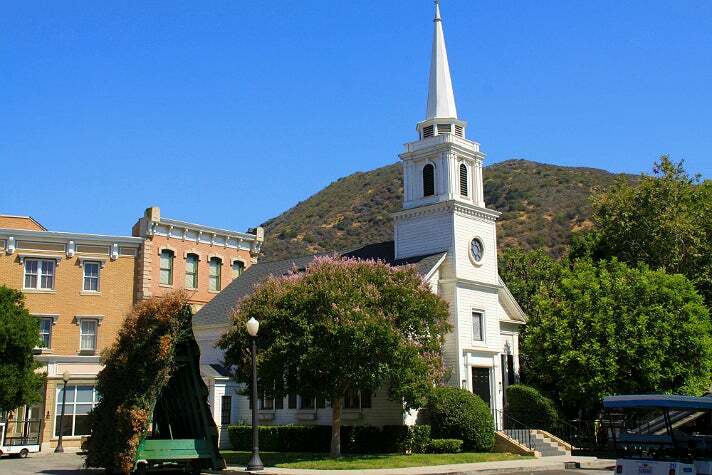 The local Rosewood Church, which is situated in the center of the Midwest Business Street area of the lot, has appeared countless times on Pretty Little Liars. Not only is it where Pastor Ted Wilson (Edward Kerr) regularly preaches, but it’s also where Ian Thomas (Ryan Merriman) tries to kill Spencer in Season 1’s “For Whom the Bell Tolls”; where Hanna attempts to sabotage her dad’s wedding in Season 2’s “Over My Dead Body”; where the Liars find Officer Wilden’s car – along with a dead pig in the trunk – in Season 3’s “A dAngerous gAme”; and where Mona’s funeral takes place in Season 5’s “Through a Glass, Darkly.” The church is a practical set and both the interior and exterior are featured on the series. 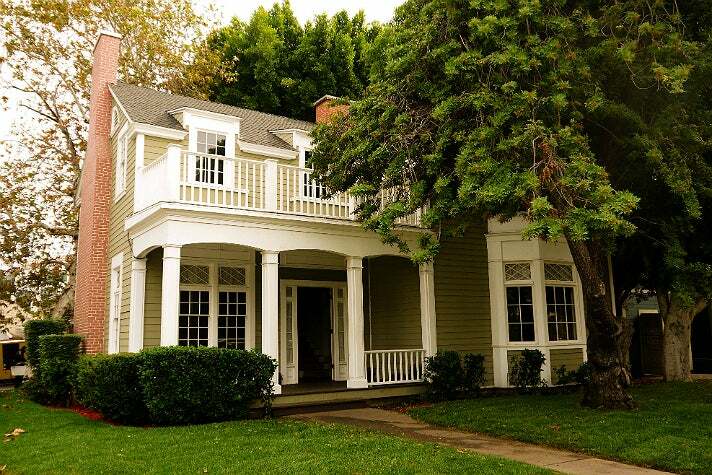 Throughout Season 2, the Liars regularly visit therapist Dr. Anne Sullivan (Annabeth Gish) at her office, the exterior of which is situated on Midwest Street across from the northern side of Rosewood Church. The same façade also masks as the entrance to the Hastings & Reibman Law Office, Veronica Hastings’ (Lesley Fera) legal firm. In Season 1’s “If at First You Don’t Succeed, Lie, Lie Again,” Aria shows up to the brick apartment building where English teacher Ezra Fitz (Ian Hardy) lives for their first date, only to find him waiting for her across the street in an idling limo. So this is what a real date with Ezra Fitz looks like! The exterior of Ezra’s building is located between French Street and Embassy Courtyard, across from New York Park. Aria and Ezra’s first official (but secret) date takes place at the Philadelphia City Museum. 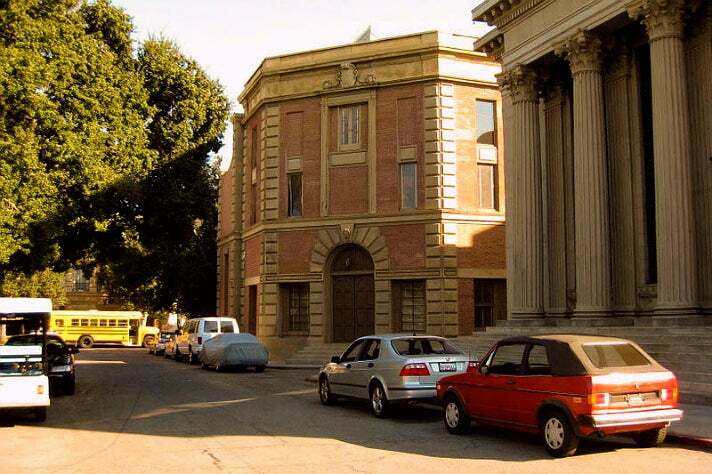 The two don’t have to travel far to get there, though, as Warner Bros.’ Embassy Courthouse, which is located adjacent to Ezra’s building, masks as the museum in the scene. 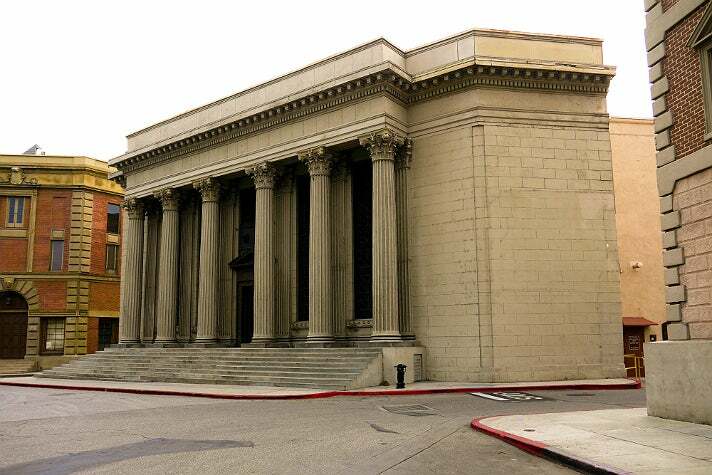 The structure was also featured regularly as the Gotham City Police Department in the 1966 Batman television series. In Season 3’s “Stolen Kisses,” Emily takes Nate St. Germain (Sterling Sulieman) to visit a lakeside cottage where she and Maya used to hang out. 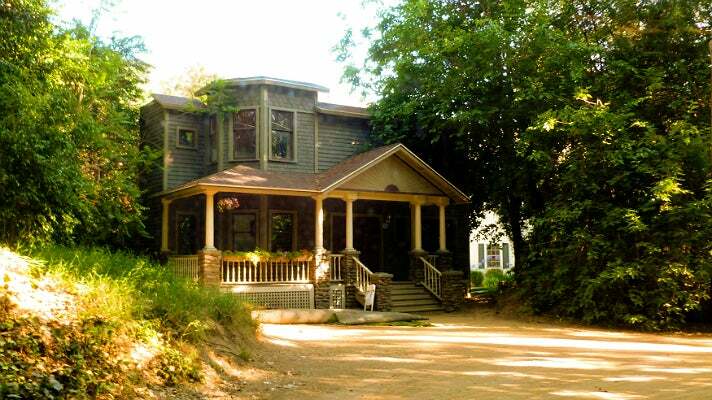 The lot’s Shore-Side Cabin, located in the southeastern portion of the Jungle, played their former haunt in the episode. 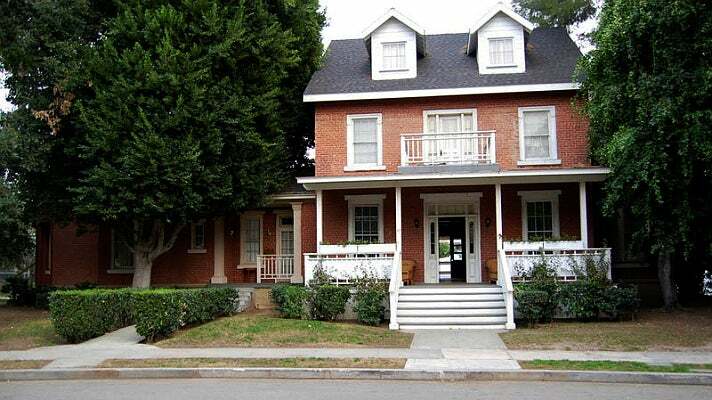 The structure is actually one of Pretty Little Liar’s most-used locations. 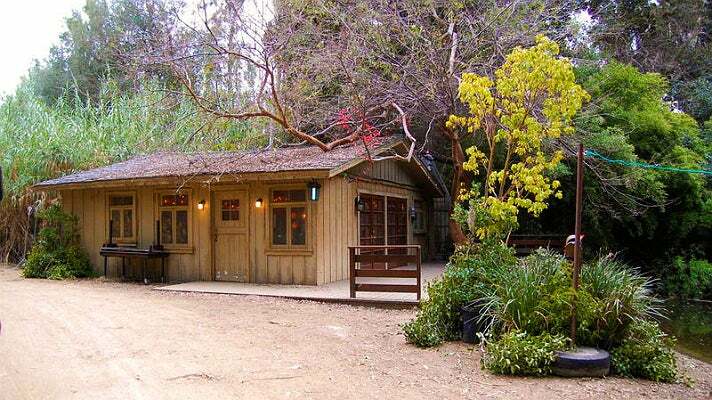 It was also utilized as the studio of “dimensional artist” Hector Lime (Jed Rees) twice during Season 4 and as Ibi’s Coffee & Sweets, where Emily, Sara Harvey (Dre Davis) and Claire (Skyler Day) very awkwardly share a plate of cookies in Season 6’s “O Brother, Where Art Thou.” The Shore-Side Cabin is a practical set and its interior has also appeared on the series, most notably as the greenhouse where the Liars set up several clandestine meetings in the beginning of Season 2.